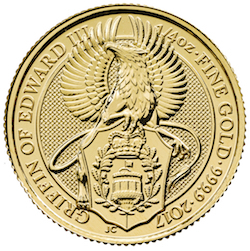 The Queen’s Beasts are a 10-coin series from the Royal Mint that depicts the heraldic beasts of Queen Elizabeth II's ancestors. 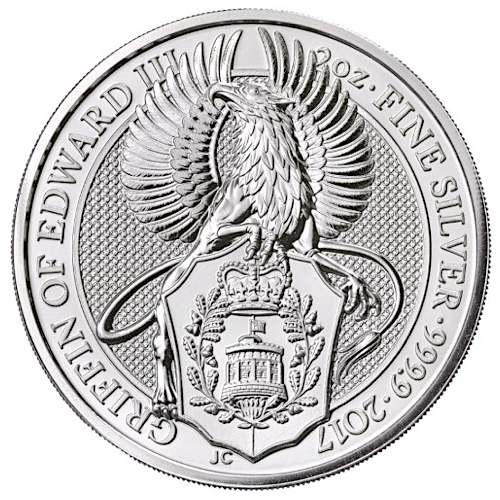 Heraldic symbols were emblazoned on the shields and armor of the armies who fought for control of the British Isles centuries ago. 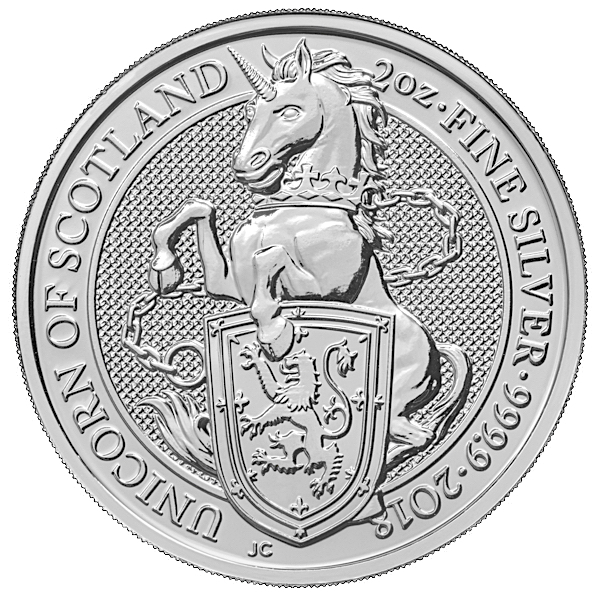 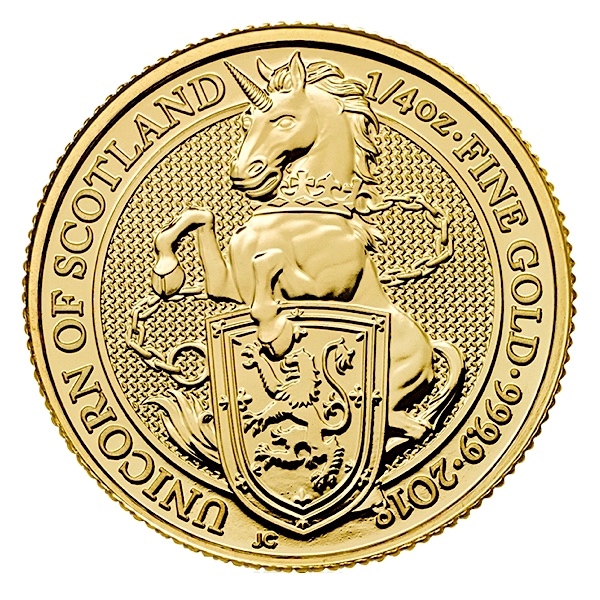 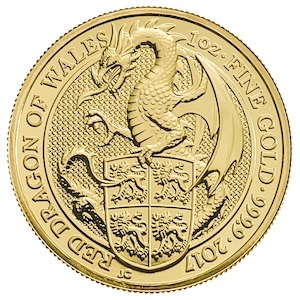 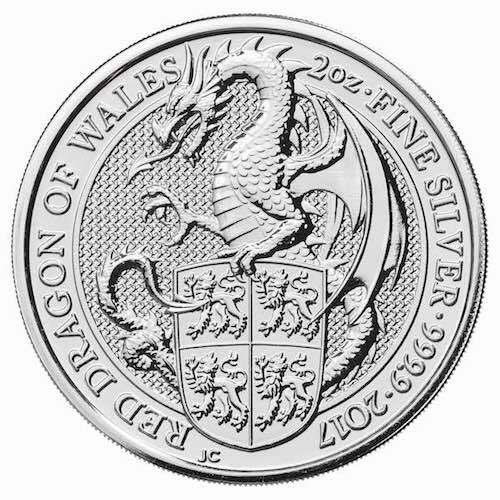 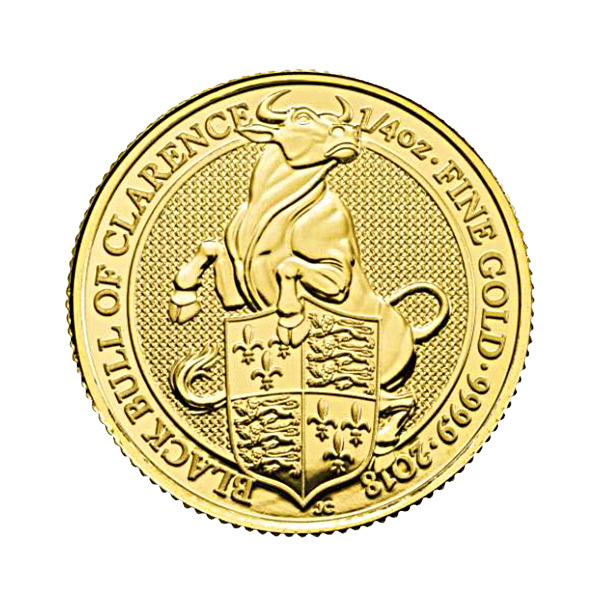 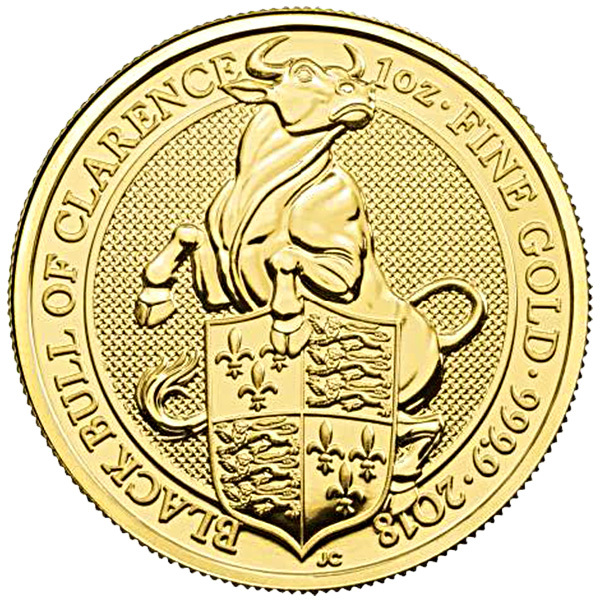 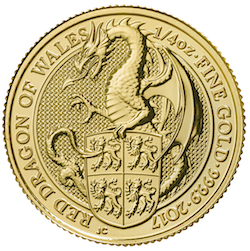 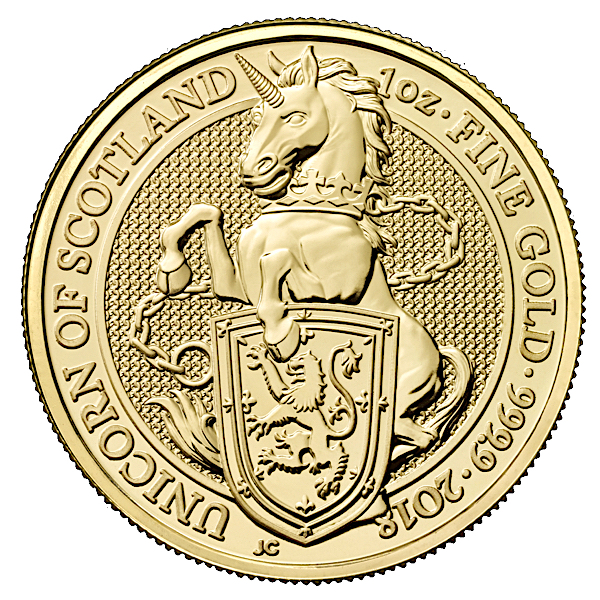 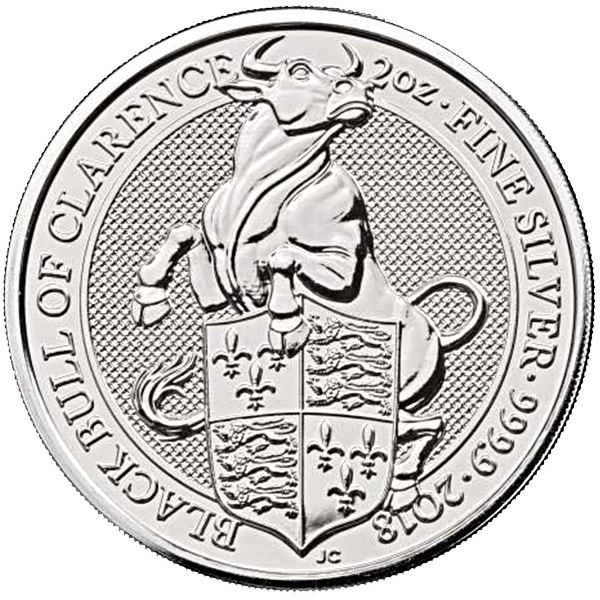 Queen's Beasts are sovereign coins backed by the UK government, denominated in British Pounds, and have a purity of .9999 gold or silver. 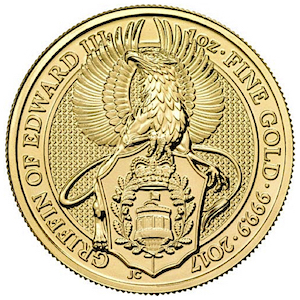 Their low premiums and impressive designs make them a popular choice among precious metals investors.